Dijiste que siempre estaríamos juntos, pero sin ti me siento perdido en el mar, A través de la oscuridad te esconderías conmigo, Como el viento seremos salvajes y libres, Dije que te seguiría a todas partes, pero tus ojos me dicen que no estarás allí pero tu presencia estará escuchando cada vez que te piense te conocí en 2011 querido chico, has sido un apoyo en mi vida a través de la música, aunque parezca duro para muchos incluso para mi, tu paz es mi felicidad. con amor para Tim Bergling. Avicii brings me into the wonderful music world. Thanks for giving us wonderful memories. Your music changed the way we think about music. You crossed boundaries we didn't realize were there. I worried about you, and when this happened....I was crushed. The love of millions are with you. I wish you knew that before. Your music will live on, I only wish you could have as well because what you did as an artist paved a way for a new way for others to follow. Peace be with you, Tim...we still listen. Avicii was one of my first musical inspirations. I fell in love with his music after wake me up and he's been one of my favorite artists since. I suffer from severe depression, and knowing someone as amazing as Tim was suffering too, makes me feel I'm not alone. I find so much comfort in his music. His death broke my heart. I love Tim forever and I know he is in peace. Months later and I'm still heartbroken over his death. Lots of love to Tim. "One day you leave this world behind so live a life you will remember" and I'm sure we'll all remember you for who you were, and for what you did. We miss you Avicii. "This world can seem cool and grey But you and I are here today And we won't fade into darkness No, we won't fade into darkness Nothing to fear but fear itself We'll be okay just keep the faith Why worry now? You'll be safe Hold my hand, just in case And we won't fade into darkness Fade into darkness No, we won't fade into darkness Fade into darkness" Thank you so much. Merci. Never have I ever missed someone so much that I have never met. Your music resonates with me every day. I listen to you every day. And it hurts that I will never be able to see you live again. I hope your unreleased music gets released for the world to see your genius. I cherish the memory of seeing you live in LA in 2013. You were a bright spot in the world, your shows and music was incomparable to anything I have seen or heard in my life, and you will forever be missed, but never forgotten. He made awesome music. Thats all. I love avicii we are remember avicii RIP..
"I've been watching you / You've been hurting too / You give all your love / Nothing left to show / I have been there too / Alone in my despair / Watching life go by / No one whom to share / Boy you got it bad / But I got something good / I will treat you good in every way / I will give to you the love you seek and more" ◢ ◤ Thank you for sharing your heart with us, Tim. Through your music, your spirit lives on. We love you Tim. Could people please stop posting nonsensical things on here. 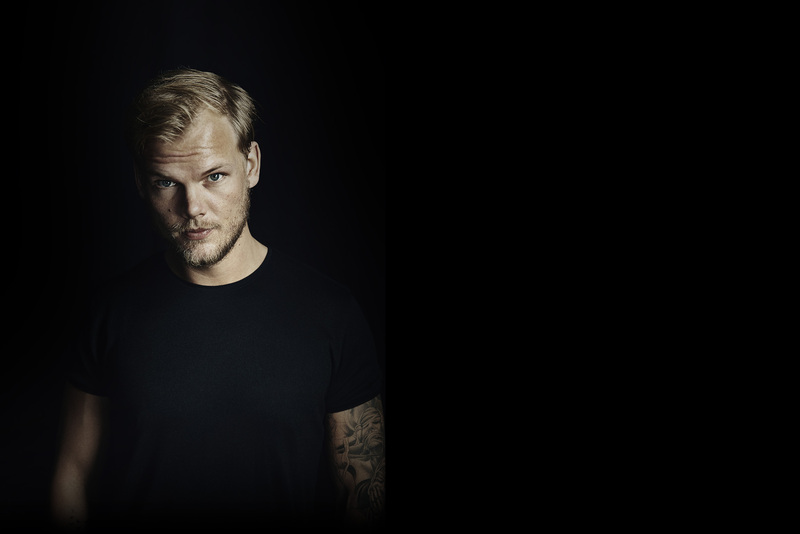 This is a platform to show your love and appreciation for Avicii. We should be glad that we have such an opportunity. I hope you're doing better and that you're finally at peace. I still think of you so much. I love you and your music. Rest well beautiful. I started listen to avicii since i was 11 years old, and when i hear a song of avicii i felt like if i've been flying, or something like that, in that first moment i stared to produce music by myself, without any tutorial or something, and every moment that i was producing, i felt like if avicii was with me or like if the music was inside of me, and that made me feel like in the heaven, my channel is LuisVZ Music or LuisVZ Vlogs if you want to hear my songs, love ya'll. Thank you for the fantastic music, will always remember you Tim. you were an absolute Legend. Tim was an amazing man and personally I admired him. I loved his music and will never forgot who he was and what he has done for the world. We will never forget you mate and I know that in many years to come I will still be listening to your amazing music. Rest In Piece Tim Bergling. I couldn't take this dear Avicci. You really make me know how to be happy and to enjoy every minute of my life. Your song will always stay alive with us Tim. rest in peace , Avicci . till we meet in Heaven. Great memories at Creamfields 2015 and of course.. Djakarta Ware House Project 2012! Rest in Peace, brother. You will be missed. His songs are not just songs...... those are the words poured from his heart. It makes me to create a passion towards life . When Tim died, it felt like loosing a really close friend. Until he died, I always knew he was somewhere there, for me and everyone else. His music was always with me in my childhood. He made me start making music and made my life happier through his music. I'll always miss him. It's terrible to know that he's not there anymore. He was my childhood. I remember dancing with my sister to all of his songs on the radio. His songs never grew old. My sister moved away to college this year, but thank you, Tim. You made us closer, and without you, I don't think we'd have this relationship. #LegendsNeverDie He is still with us. Love you. Avicci, I take my time to conduct to you. I remember way back in the good old days the song wake me up had its first hit. Wake me up, a song telling people that they have true poetentail. I could have felt that so many up and coming artists looked up to Tim for inspiration. Maybe in more ways than music. I still find ways to go deeper into meaning. And it's all been a part of his musical journey and ours. You will be missed but not forgotten brother. I'll always remember you whatsoever. It's quite intriguing that I'm listening to all your songs every day after you got eternity. I can just figure out with you, thinking of you. And I know that it was too much enduring that world. Hereinafter, we feel you somewhere in the world. Thank you for everything you put on this miserable world! Whatever it takes, we keep on living with your memories. RIP! AVICII = EL MEJOR DJ DEL MUNDO 👑❤❤💖 Desde que me entere lo que paso una parte de mi se murio porque mi sueño era conocerte . Pero tu nunca vas a morir vas a estar siempre en nuestros corazones ❤ Avicii eres mi angel eres todo.👑 AVICII FOREVER ❤. Thanks for all the fantastic music Tim. Jeg havde æren for, at møde dig i virkeligheden flere gange, tak også for det. Tim, i listened to your songs since the start of your career. I don't know any other artist, who made such a valuable contribution to my taste of music in general. Every your song was honey to my soul, don't you believe? When i was watching a movie about your life and career, frankly speaking, i realized that you were the person whom i had always imagined you were. Modest, like me. I had a feeling like i had known you all my life. Thank you a lot for you and your songs! Love you so much! You've constantly been an absent presence in my life, Tim - and shall continue to be so. Even in the silence in my head there's your music. Love always. <3 This album art I made long before you left will go with me wherever I go. I'll take you with me wherever I go. Hey Tim, Man rest in peace, amazing artist. I've listened to you for a long time, till you released your first song. Can't stop listening to you. Miss you a lot, Man. After I heard about your death, I was sad that you died, it was a tragedy to our world. Your a damn legend, mate. Peace out Bro! Avicii you have marked my entire university life, you became very popular on my first year of university in Montreal, I will forever think back to that time of my life when listening to your music, what a wonderful time it was. Thank you and rest in peace. Sadly I never knew how big of an impact you made on my life until after your passing but I'm extremely grateful to have known your music and see you perform. Your music makes me reminisce on my past years and yet look foward to the future. Your legacy will live on forever and your music will continue to inspire people. Thank you. I remember I wished for the album True for Christmas the same year it came out, and I got it! I was so happy. It went on repeat for many times. His music was important for me in my teenage years. Avicii was talented. I really do hope his tragically death is a wakeup call for the psychiatry. I really do wish he got help earlier. If people would've reacted in time, maybe this wouldn't happen. Rest in peace Avicii. avicii was a true inspiration to me. he inspired me to start making music. A MÚSICA MAIS INCRÍVEL QUE EU JÁ ESCUTEI NA VIDA CHAMA-SE 'TALK TO MYSELF'. É A NOSSA MÚSICA, VIVI . OBGD, TIM ! soo sad fo your gone love!! mi manchi tanto, non dovevi andartene così. Meritavi molto di più, meritavi tutto. Grazie, per tutto quello che stai facendo e hai fatto, ti voglio bene.